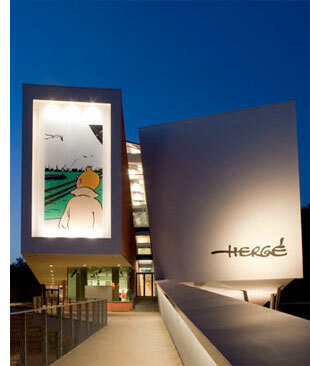 The Musée Hergé—named after the moniker under which Rémi’s penned his Tintin books— is outside of the suburban town of Louvain-la-Neuve, about 30km (20 miles) southeast of central Brussels. This location for the museum was chosen because Louvain has a particularly distinct boundary with thick forest on one side and a quaint-esque Walloon town on the other. 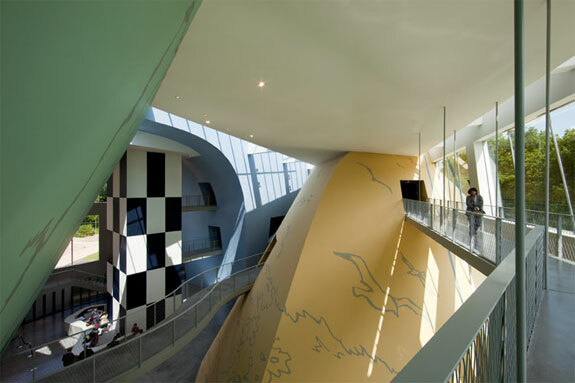 The museum’s architectural design is supposed to symbolically resemble a ship emerging from the sea of trees and crashing into the town. A large protrusion through the museum represents where the ship “cracked” in the impact. 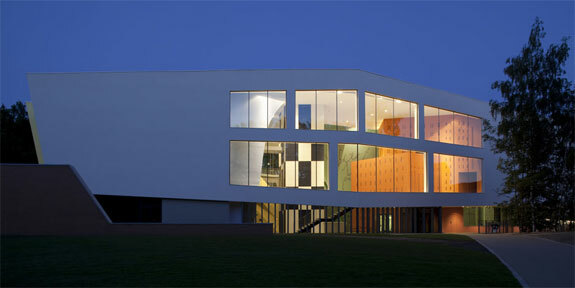 The exhibits themselves are spread across eight rooms on two floors. Exhibits on the first floor are about Hergé the man. 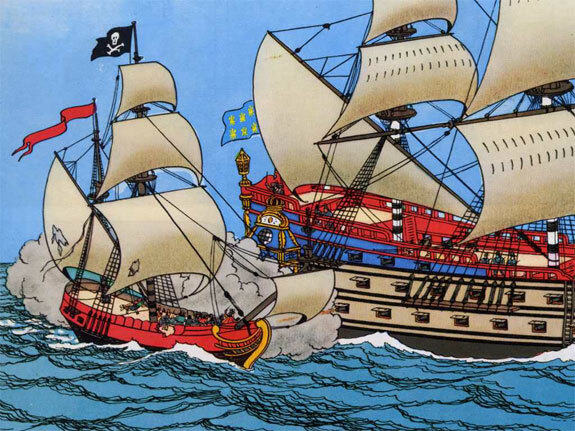 All but the most ardent Tintin fans will be more interested in the comic art displayed on the second floor. Given that you are reading these words on a travel blog chances are that our favorite portion of the museum will be yours too: the “Dreaming of Travel” display in room #6. Here museum visitors will find information about—and beautiful artistic representations of—Tintin and Snowy in all manner of exotic locales. The museum also has a adequate restaurant and an excellent if overpriced shop on the basement level. The scale and interior colors of the Musée Hergé is intended to make visitors feel like they are characters in a real life comic. We suggest enhancing this experience by wearing a brown trench coat like the one Tintin often did and spiking up the hair on the top of your head with some gel. But leave Snowy at home—dogs aren’t allowed in the museum. 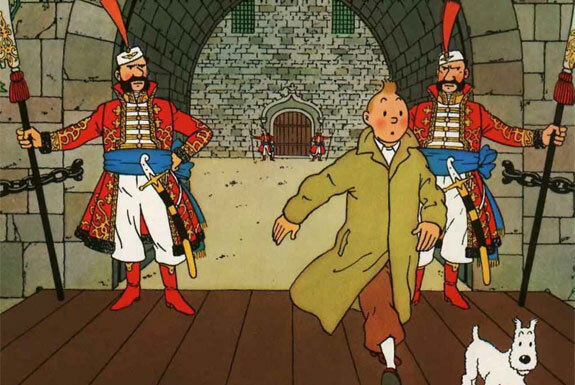 While in Brussels: The Musée Hergé isn’t the Belgian capital’s only Tintin attraction. Check out the Belgium Comic Strip Center in the heart of the city. La Boutique Tintin has a collection of Tintin-related stuff even more extensive than the Musée Hergé’s shop. 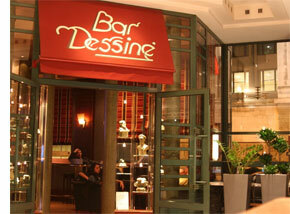 Also cool is the Bar Dessiné at the excellent Radisson Blu Royal Hotel where you can sip exotic drinks in a colorful bar where original Tintin art adores the walls. 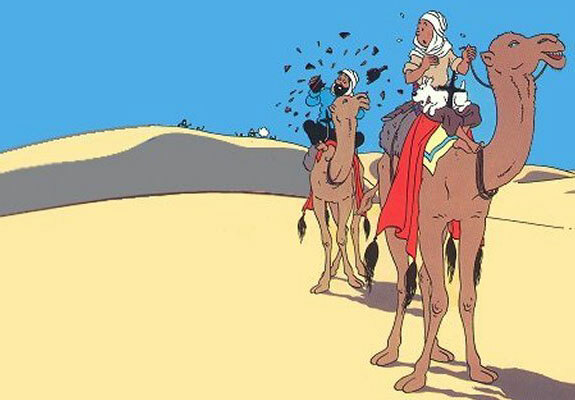 All three of those Tintin-themed destinations are located along Brussel’s “Comic Strip Trail.” Download a free walking map of the trail from the Brussels Tourist Board website.